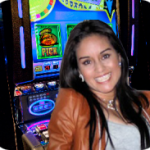 Triple Red Hot 777 Slots Game by IGT: Take a FREE Pokies Spin Here. If you are a classic slot fan then you’ll love Triple Red Hot 777 pokies, which comes with the best features ever added to a 3-reel slot. Usually, IGT packs in plenty of special features on all of their slot games, just to make them unique and exciting to play. 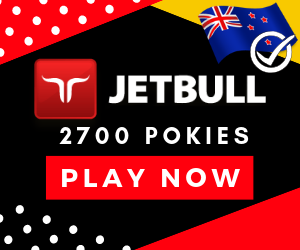 Triple Red Hot 777 includes Total-bet & Free Spins awarding Bonus Symbols, 3X Wild Multipliers and Spitfire Multipliers that can multiply your free spins winnings by up to 7X. In any classic 3-reel slot, your task is to line up 3- symbols in order to win the highest prize for each symbol. But in this game, you’ll still be awarded for some two symbol lines. The top prize in both the base game & free spins is the Red Hot Triple Red 7’s, and you are likely to win up to 150X your line bet for landing 3 of them. Red Hot Double Red 7’s will award you 80X your line bet while Red Hot Single Red 7’S wins you 40x your line bet. Moreover, there are also White 7’s and Blue 7’s to line up, and these pay 20X and 25X your line bet respectively. There are also smaller wins, and you can get 10-coins & 2 coins for landing just 1 or 2 Red Hot Triple 7’s. These will definitely keep your balance ticking over while you continue your search for bigger wins. But when you start landing the Triple Red Hot 3X Wilds, your prizes are likely to be tripled. This happens when one of these symbols substitutes other symbols to complete a winning combination. If you are lucky to land 2 Triple Red Hot 3X Wilds, your prize is multiplied 9X. The game features colorful graphics, which makes it easy on the eye. 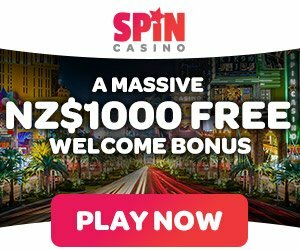 3 Bonus Symbols instantly awards you 1X your total bet as well as a free spins bonus round. At first, you’ll get 7- free spins, but you are likely to retrigger them up to 700 free spins in one bonus. Each Free Spin is accompanied by one of the amazing Spitfire Multipliers, which multiplies your prizes up to 7X. However, this feature won’t be triggered if your winning combination is made up only of the Wild symbols. Betting on the game is pretty easy since the rules and instructions are easy to understand. You are expected to choose your preferred line-bet, 5 to 100 coins, and then bet on lines 1 to 5 on any spin. The game allows a minimum bet of 5 coins per spin & a maximum bet of 500 coins per spin. Note that all prizes will be multiplied by your line-bet. Triple Red Hot 777 is a great game with smooth & seamless game play and fantastic features. We can describe it as action-packed, fun and addictive game, with no fussy features, frills or complex rules. You’ll love its bonus features that not only keep the game play interesting, but also awards amazing prizes. We highly recommend this IGT free pokies game to you, old school slot themes means cool school fun.